We believe that chiropractic is a vital part of everyone’s health journey! Whether you’ve been putting up with persistent pain for years or want to embrace a healthier lifestyle, we look forward to serving you at Rivergrove Chiropractic. 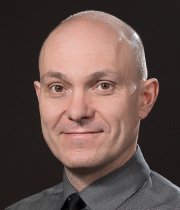 Winnipeg chiropractor, Dr. Ron Weihs was born in the area and is proud to help his fellow residents of Winnipeg experience natural relief and optimal wellness through chiropractic care. 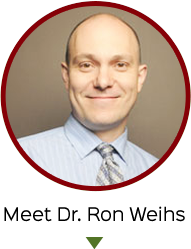 Since 1998, Rivergrove Chiropractic has been an oasis for healing and wellness in Winnipeg. We have the experience and knowledge to help get our patients well and set them on a path of lifelong health. Our business has flourished the old-fashioned way — from many patient referrals. Our happy patients, who include numerous professional athletes, are pleased to tell their family and friends about our high levels of care and concern. Because no two patients are exactly alike, we offer personalized care, not cookie-cutter care plans. You won’t find a prepackaged sales plan at our practice. We look at everyone’s problem as unique and provide a comprehensive array of services to help patients feel great. We concentrate solely on solving our patients’ problems. It’s our mission to help them find relief and discover better health through natural chiropractic. 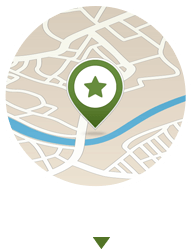 Our practice offers convenient solutions to your problems. We do so without the use of traditional medications that many doctors are all too willing to prescribe. And because we want you to get the quality chiropractic care you need and deserve, we make the process easy for you! We offer on-site X-rays, welcome walk-ins, accept insurance and offer Saturday appointments. Plus, we provide direct billing to several insurance companies. By doing so, you don’t have to be prepared to pay for services out of pocket immediately. We are also a primary care provider with direct billing for Manitoba Public Insurance and workers’ compensation. If you’re ready to discover relief and wellness, contact us today to schedule an appointment! Staff is always friendly and make you feel welcome. I have and will continue to recommend you to my friends and family. Keep up the excellent work. Love ya guys. Thanks for being very flexible and understanding. I came in extremely nervous and left feeling confident that I could be helped. All of the staff were helpful and I’m grateful for the services I’ve received. I’m happy with the treatment and service I get at Rivergrove Chiropractic. Dr Weihs and the team are very friendly and professional people and they make you feel very welcome in that office. Great team here really helped me out. Especially been a bigger guy I really felt that they knew what they were doing. Excellent experience, friendly staff, & professional service. Always a great experience at Rivergrove Chiropractic. All of the staff are great! I really appreciate Dr. Weihs’ knowledge and expertise with every chiropractic treatment I receive! Dr. Ron and his staff are absolutely wonderful. They are kind and caring and are so very helpful !!!! I would recommend this staff to anyone !!!!! I would never go anywhere else. I completely trust you. I wouldn’t be returning if I didn’t like the experience and expertise. I have had chiropractors in the past that have sent my head spinning. Thanks for the great care. Ron is very good at what he does and I would recommend Ron to all my friends and family. It was a very good experience. I liked that the doctor took the time to listen not just rush through the appointment. Everyone in the office is very friendly and always make you feel welcome.